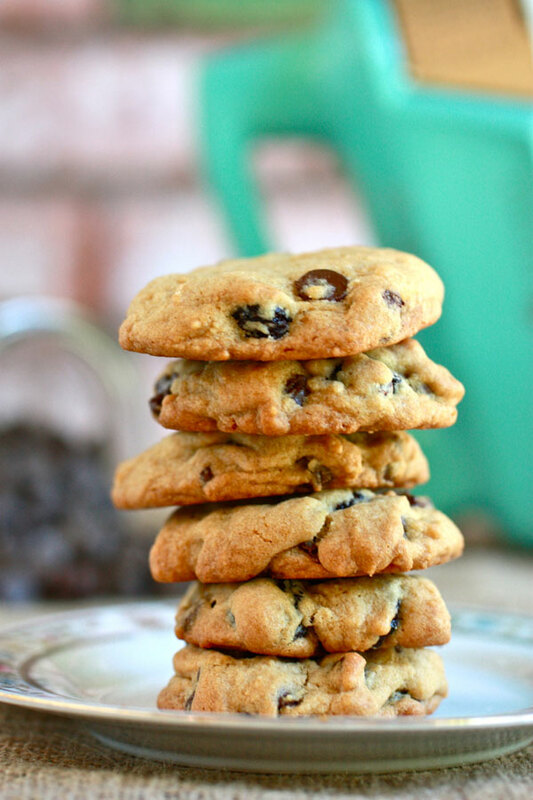 There’s always a need for a chocolate chip cookie, don’t you think? Come to think of it, I really don’t know an occasion in life that doesn’t call for one. Bad day? Eat a cookie. Good day? Celebrate with a cookie. Headed back to school? Bake some cookies. Home alone on a Friday night? Bake more cookies. You see? In my book, chocolate chip cookies are just a necessary part of life. 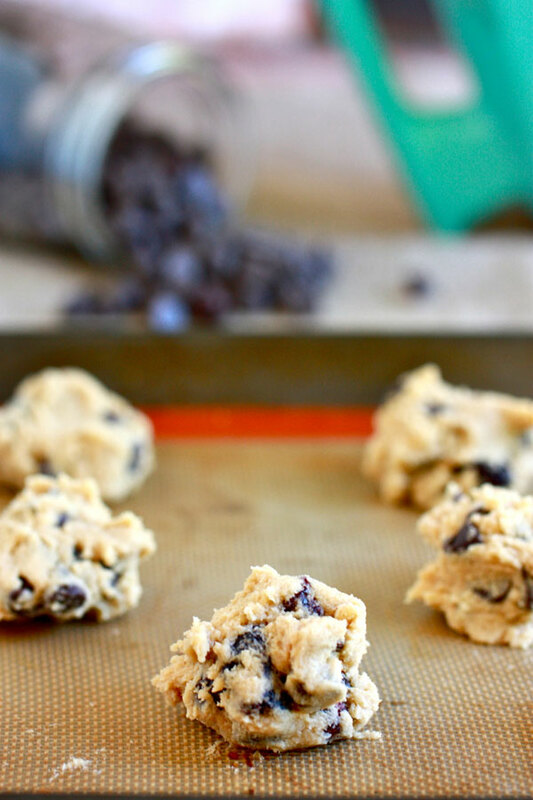 I added sweet dried bing cherries to my standard cookie recipe for a fun little twist this time and absolutely loved the result! 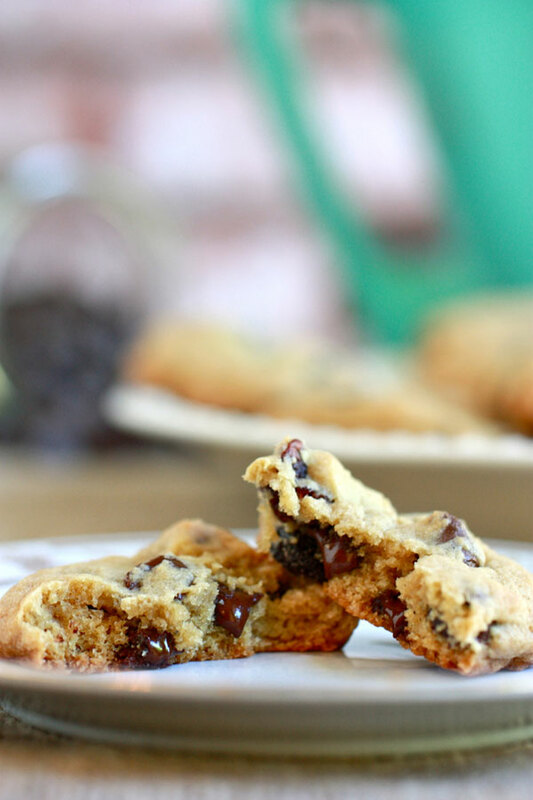 Gooey dark chocolate + chewy, tart cherries? Yes, please. Also, the use of only brown sugar in the dough makes for an exceptionally chewy cookie with an almost caramel-like flavor. They really are the best of the best and I hope you make them soon!